What Material is Invisalign in Virginia Beach Made From? Is It Strong? Living with imperfections in your smile can be bothersome and can have a negative impact on your confidence. Studies show that it also affects how others view you, as one-third of the new people you meet will notice your smile before anything else. Thankfully, there’s an easy way to correct misaligned, crowded or gapped teeth – Invisalign in Virginia Beach. It provides a break from the traditional braces method and the inconveniences that come along with it. As you read on, you’ll learn how Invisalign works and what it’s made of. The Invisalign treatment protocol consists of a series of custom-made clear trays that allow you to correct your smile in a discreet manner. They are made from durable, BPA-free thermoplastic material that gradually moves your teeth in a comfortable manner. The information is then relayed to an in-network lab that will create the series of trays following your orthodontist’s specifications. The reason thermoplastic is used is that it is fatigue resistant. That means that it’s flexible and better accommodates the dynamic nature of the environment of your mouth. Also, the customization plays a major role in your aligners being more durable and effective, because they are designed to fit your teeth perfectly at every step of the treatment process. 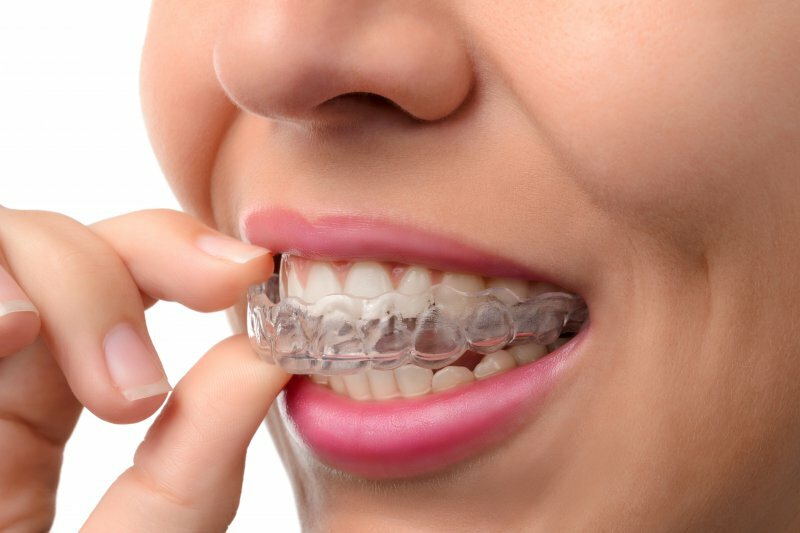 Invisalign braces are unique in that they offer amazing results yet save patients tons of time. Whereas traditional braces may require 24 months or more to correct teeth, the Invisalign process is typically much faster, with some patients completing treatment in as little as eight to 12 months. No longer do you have to live in fear of taking photos or meeting new people because of the condition of your teeth. Invisalign clear aligners will deliver the smile of your dreams! To learn more, reach out to your cosmetic dentist in Virginia Beach to schedule a consultation today. 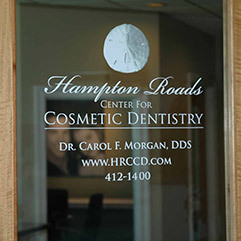 For over 20 years, Dr. Carol Morgan has been practicing in the Hampton area. A graduate of the Medical College of Virginia, she still pursues continuing education hours annually to further hone her skills and broaden her knowledge. 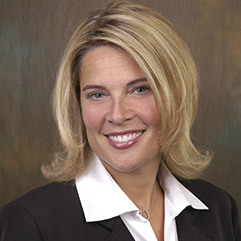 Additionally, Dr. Morgan has received expert training at the renowned Las Vegas Institute, where she received advanced tutelage in treating malocclusion (bite problems). 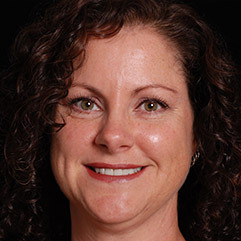 She practices at Hampton Roads Center for Cosmetic Dentistry and can be reached for more information through her website. Comments Off on What Material is Invisalign in Virginia Beach Made From? Is It Strong?